Recently, Mike and I ventured all the way up to York for a long weekend and we were lucky enough to have been gifted a York Pass each from the amazing Visit York team so we challenged ourselves to go and visit as many locations as we possibly could to see how much money you can save when you get a York Pass. We arrived midafternoon on a Friday and left late afternoon on the Sunday so we had a three-day adult which costs £65 each (currently on offer). It may sound a lot of money for a staycation, but wait until you can see just how much you can actually do with your passes. When we picked up our passes we were handed a booklet that accompanied them; this booklet has almost 80 pages of things to see and do! Each pass does have a few rules about how you use them, but they all make sense. Your pass works on calendar days so if you activate it at 6pm on the Friday, you only have until midnight on the same Friday to use it. A two-day pass is two consecutive days and a three-day pass can be used over a six-day period unless you’re crazy like us and cram it all in! The passes also don’t allow re-entry into the same attraction on the same day, but there’s SO much to do, you won’t be needing to head back to anywhere. There are also monetary limits on the card so a one day pass costs £40 but you can access up to £75 worth of attractions, a two-day pass costs £55 and your card limit is £150 and the three-day pass we had has a limit of £225, and we didn’t hit our limit at all. So, as mentioned, we headed out into York, within the city walls, at around 3pm after checking into our hotel. We made a stop off to the Visit York shop at 1 Museum Street to pick up our media pack and then made our first stop off to York Minster. I mean, where else do you start with on a trip to York?! We were so lucky as it was towards the end of the day that we were able to get some stunning photos without any other visitors in. We probably could have spent a hell of a lot longer wander, reading all of the walls and just sitting, staring in awe at the amazing stained glass windows but we wanted to get in another attraction before they all closed up for the day. We moved on to York Brewery, which have their last tour at 5pm and it lasts just under an hour. I love learning about beers, how they are made and this time we even got a nit of an insight into their marketing, which I really enjoyed. We had our 1/3 pint that was included with our ticket and then headed off on a quest to find some dinner! Saturday morning saw us waking up nice and early to catch up on bits we didn’t make it to on Friday and to see a lot more before our friends turned up for dinner and drinks. 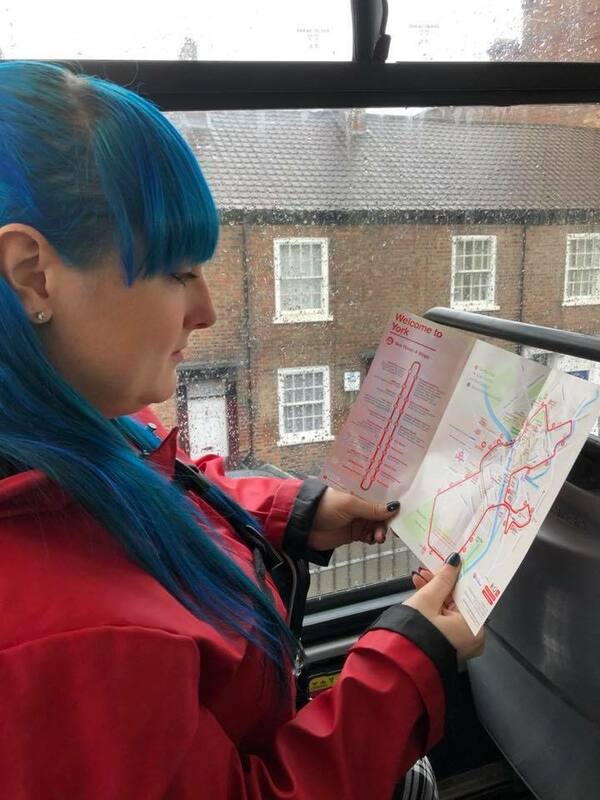 Our first stop of the day was the City Sight Seeing Bus Tour, we took that from The Mount where we were staying all the way round to Clifford’s Tower and we learned so much from the driver and the commentary. It was also a great way to get into town whilst it was really raining! The bus is included in your York Pass too. We then wandered over to the Jorvik Centre which totally blew our minds. It has recently been refurbished after a flood a few years back and it’s amazing. The ride lasts almost 20 minutes and takes you through York during the Viking era. 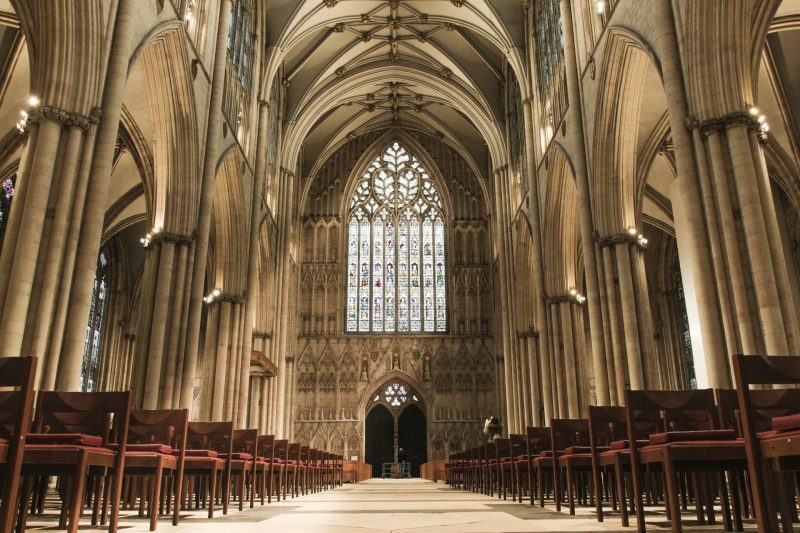 The characters are so lifelike and a few of them are actually modeled on real human skeletons they found in York that can also be viewed in the museum. The staff there were so knowledgeable that we were so impressed and chatted with them for ages! 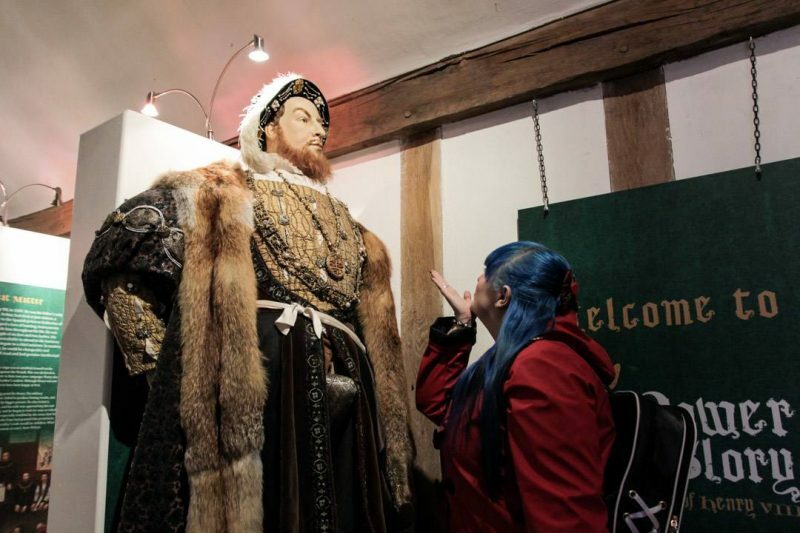 Up next was a visit to Barley Hall and anywhere that Henry VIII has been is a total winner for me! Until the 1980s, Barley Hall was hidden under a modern facade of a derelict office block and it was only when it was going to be destroyed was the amazing medieval structure discovered! What an amazing find! Barley Hall’s ‘Power & Glory’ exhibition, on the upper floor, is now home to some of the most beautiful costumes from the BBC series, Wolf Hall, so I managed to get pretty up close to my main man and have decided we NEED to watch Wolf Hall asap! Our final stop of the day with our York Passes was the York Chocolate Story which is proper hand on, educational fun. We started our tour at the very start of chocolate and ended by making our own because chocolate, as we know it, originated in York! Betcha didn’t know that! On Sunday, we checked out of our hotel and wanted to fit in a little more sightseeing before we moved on to our next destination. We wanted to have a quick stop off at the Clifford Tower so Mike could see the views from the top as I can’t handle spiral stairs! 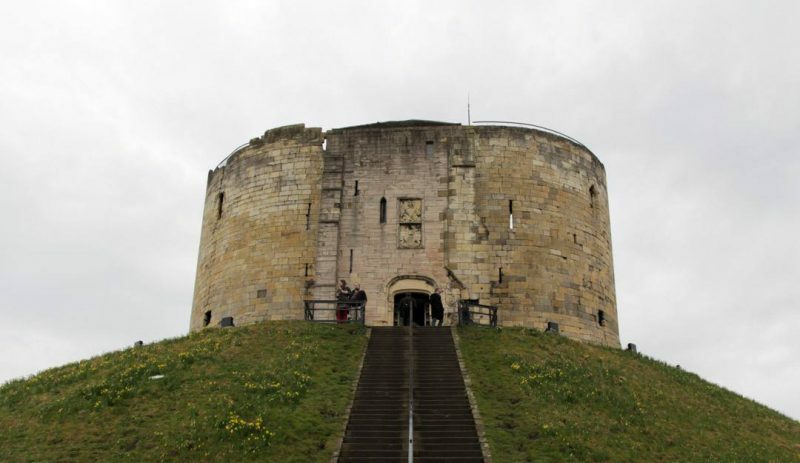 There’s also a lot of history surrounding the tower so it’s well worth a quick visit on the way to the York castle Museum. So as you will have guessed our next stop was the York Castle Museum which has so many different sections to visit including the awesome Toy Stories, the replica rooms, Shaping the Body, 1914: When the World Changed Forever, Kirkgate: The Victorian Street, The Sixties, and York Castle Prison. It took us a good couple of hours to see all of it and we could have spent a hell of a lot more time there. 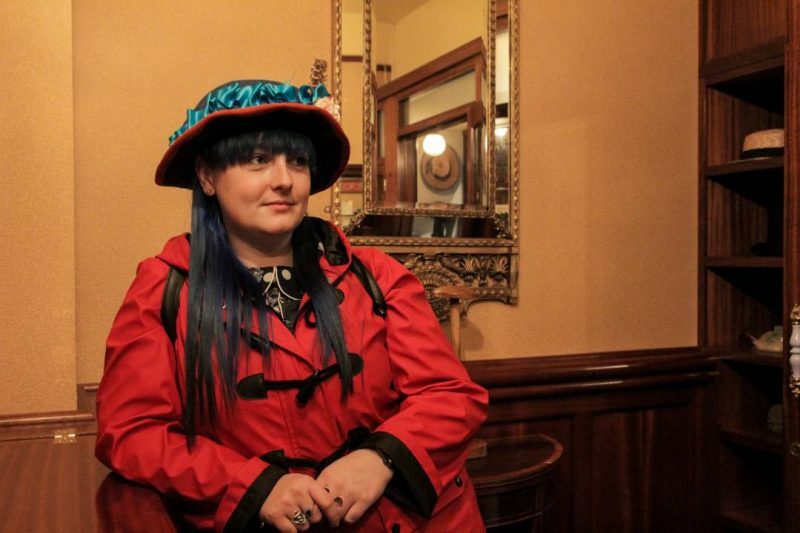 I was a huge fan of the Victorian Street where I found this rather dashing hat that suited my aesthetics in life perfectly! The York Castle Prison section was pretty awesome and rather intense too! 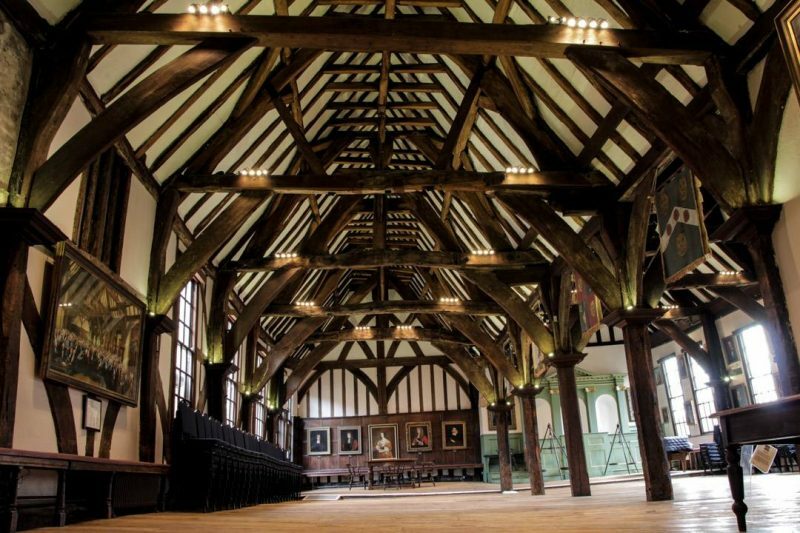 Our last stop with our York Passes before we left the city was to the Merchant Adventurer’s Hall and it was so stunning! The audio guide gave us so much information about the hall and how it’s even used still today which is pretty darn cool! We did want to stop by the Railway Museum as it’s meant to be incredible but we simply ran out of time so we are well due a trip back up to York as we both had such an incredible time. But did the York Passes do thier job, and work out cheaper than what we could cram in?! That they did! I can’t recommend the passes enough, so get yourselves to York! "Five Great Ways to Pay for Your London Lifestyle Online *"
"Is Your Dog Too Stressed to Sleep? *"